Each week, we ask you to share your questions about farming, food or Sacrewell with us on Facebook. The person who writes the best question wins a free tractor ride for a child and accompanying adult, as well as having their question answered on our website. This question came from Rachel Inman. One way to stop snails and slugs from eating your crops is to build a wall or barrier around your crops that the snails and slugs cannot cross. 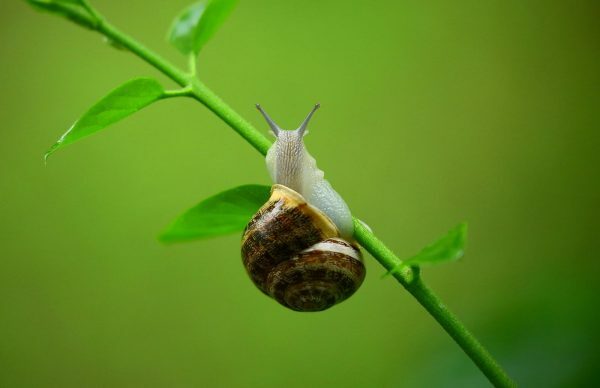 This might seem like a simple strategy, but these garden molluscs are very sneaky and can happily climb up vertical surfaces or burrow underground. Farmers and gardeners use things like egg shells, coffee grinds and sharp sand to create a surface that is too uncomfortable for the slugs and snails to cross. For plants that are grown in containers, bands of copper tape can be wrapped around the edges. The copper produces a small electric shock when it comes into contact with the slimy secretion that the slugs and snails travel on, which is often enough to stop the pest from going any further. A pesticide is a chemical that is designed to kill pests. Chemicals that can be effective at killing or deterring slugs and snails include methaldehyde, methiocarb and copper sulphate. These chemicals will gradually break down in the soil or be washed away, at which point the slugs and snails will return. Farmers have to weigh up the cost of regularly buying and applying pesticides against the price that they are able to get when they sell the crop. 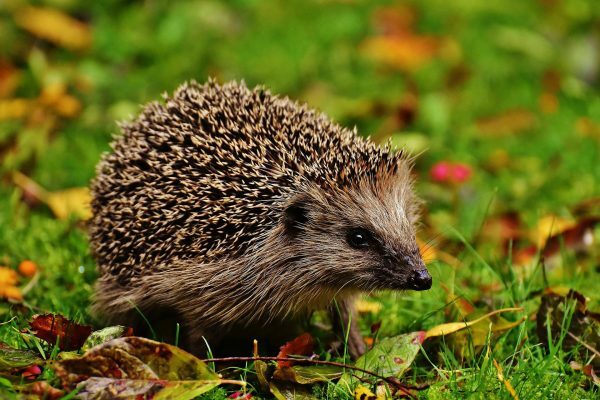 These methods encourage natural predators, such as hedgehogs and frogs, to eat the slugs and snails before they have a chance to feast on the crops. Farmers might encourage these predators into their fields by having well maintained hedgerows and wider field boundaries that create corridors for wildlife to safely travel along and habitats for them to build their homes in. Our friends at Riverford do a great job of this. Slugs can also be controlled using tiny creatures called nematodes which live in the soil, burrow into the slug and infect it with deadly bacteria. These nematodes can be purchased by farmers and applied to the soil, but they are a more expensive option as they have to be applied on a regular basis. For the home gardener, we reckon the best way to stop slugs and snails from feasting on your plants is to go out and remove them yourself. Head out in the garden at night, when slugs and snails are most active, and use a torch to find and remove them from your favourite plants. Throwing them over the fence into your neighbour’s garden is generally frowned upon, but adding them to your compost bin is a great idea as they can feast on your garden waste and you’ll get some lovely compost for future planting.